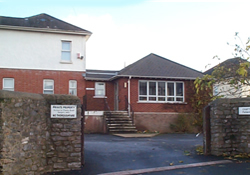 Chilcote is a friendly, happy Practice, conveniently located on two sites in the St Marychurch and Westhill areas of Torquay. We work hard to achieve high quality patient care, putting you first and aiming to build up strong long lasting relationships between you and the Doctors and Nurses. We also maximise your choice as you can see/speak to your usual GP or any other GP in the Practice, depending on your wishes. 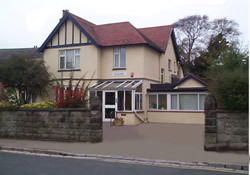 Chilcote Surgery is at the forefront of providing modern general practice care in Torbay. We have a wide range of expertise from Specialist Nurses to GPs with specialist skills, and pride ourselves in keeping up to date. In partnership with the Peninsula Medical School, we are teaching the next generation of Doctors in our surgeries. At Chilcote we give priority to being accessible throughout the day and we value you being able to see your chosen Doctor or Nurse. We are committed to keeping you as well as possible through the use of preventative measures and treating people as individuals. Our aim is to empower you to make your own decisions about your health. We take pride in our care at Chilcote and welcome new patients. To contact a doctor when the surgery is closed, please telephone 111 if you urgently need medical help or advice but it is not a life-threatening situation. Extended opening arrangements are reviewed from time to time and may be adjusted in view of patient preference. Please enquire for further details.